This set of 100 graphics quality PVC cards is made by the reputable easyIDea brand. The cards are standard CR80 credit card size and 30 mil thickness. 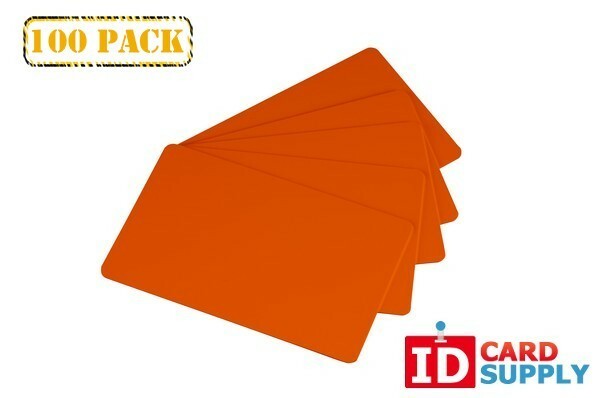 These orange cards are compatible with most card printers and can be yours today!